Many use bubble levels to level their turntable, but their accuracy is subject to both eye sight and it can be very frustrating to centre that bubble! Cartridge Man introduced this digital levelling gauge as a solution. This is a highly accurate, easy-to-use, all-electronic Digital Levelling Gauge tgat presents a digital level read-out of both planes simultaneously to an accuracy of 0.1°. Four quadrant LEDs give a clear indication of which side needs lowering or raising, until both readouts are equal to 0 and the turntable is perfectly level. 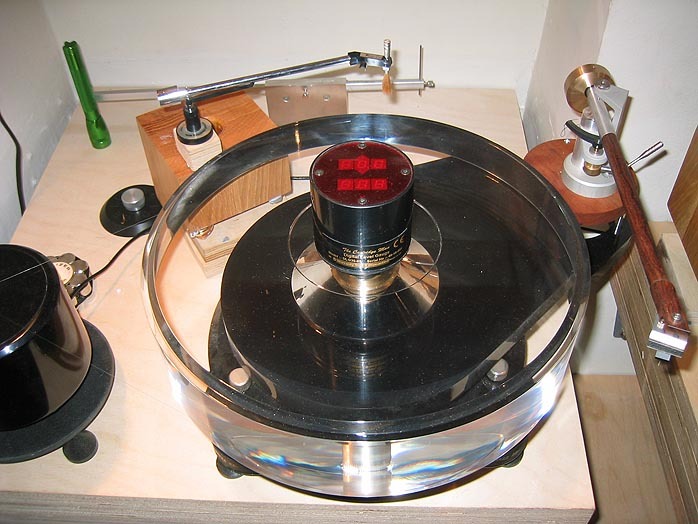 A turntable will always perform at its best when properly leveled. Using Cartridge Man's Digital Levelling Gauge, you can make sure level is accurate and realise the maximum performance from your turntable. The Cartridge Man Digital Leveling Gauge will allow you level your CD, loudspeakers, equipment support, or even turntable! allowing your equipment to perform to you at its best. Imagine the wear that goes on into your systemsbearings. to say nothing of vibration, when it is running out of verticle. The eccentric forces will permanently damagebearings and introduce unwanted "noise" into you system unless accurately leveled. 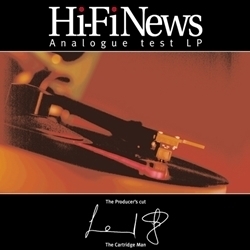 This is a fantastic tool, and are not just applicable for leveling your Hi Fi equipment. Professional organizations use them in a variety of manufacturing and engineering applications.. Essential for all professionals who regularly set up decks either during a custom install or for demonstration within their own premises. Again, the difference between a builder's -- or even turntable -- spirit level and this one is hard to credit. There is simply no comparison. The platter bearing is without question the most important component of a turntable. Along with good quality clean oil, the bearing will respond hugely to a solid, level surface. In some cases, you might hear the benefits of a properly levelled platter immediately (particularly if you have a three- point suspended turntable like a Linn LP12 or a Systemdek). Like the wall shelf, this is fundamental. If you get the platter rotating smoothly with as little friction and eccentric wobble as possible, so many other good things flow that it's simply crazy not to get this as accurate as possible. In fact, the cheaper the bearing, the more important this becomes. The digital level is incredibly accurate and simple to use. The only thing worth watching is that the surface you are levelling is the actual level. If you're levelling the platter, place the level on three parts of the platter (in case there is some inaccuracy in the platter itself), then directly over the spindle. On some cheaper platters, you might well find they don't agree at which point it's worth figuring out where the problem is. The sonic gains of a well set-up platter are crucial to a good analog sound. The soundstage will open up but more crucially, the image will stabilize and loose any residual fuzziness and furriness that are the bane of bad analog sound. Along with a wall shelf, a well set-up platter will bring direct benefits in extending the highs and releasing a deeper, more realistic bass. Rhythms will tighten and scale will increase. Personally, I would much rather have a digital scale than be able to change the VTA on a Rega 250 for instance. The benefits go to the heart of the way analog is reproduced. Do make sure you check the calibration as it is directional.